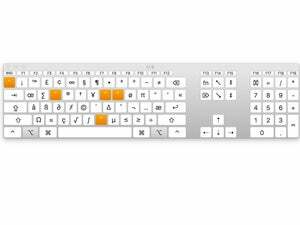 Unlock the power of the Mac's Keyboard Viewer. Why don’t I go ahead answer Lynn’s actual question, then? 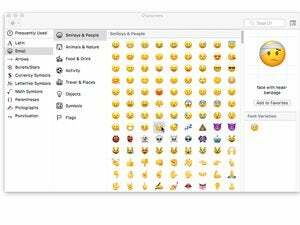 The Emoji palette hides the full range of characters available, showing just emoji and some symbols. Click the tiny palette in its upper right to restore the Characters palette. The most likely thing she’s experiencing is the minimized option for the Characters palette, which is the floating window that shows up when you select the Input system menu’s Show Emoji & Symbols option. If you click the little palette icon in its upper right, kaboom! It shrinks to an emoji palette, and gives no indication that it’s anything but that. Click the tiny palette icon on the emoji palette, and it expands back to full size. That’s probably what Lynn needed. Apologies. Here’s another part of what’s confusing, too. 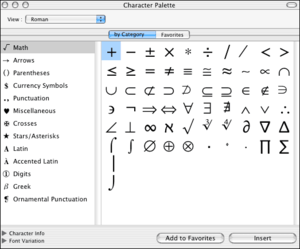 Until a few versions ago, the place where you could see the full panoply of all characters available in various sets (along with versions available in locally loaded fonts) was called the Character Palette with the word Palette in the name. 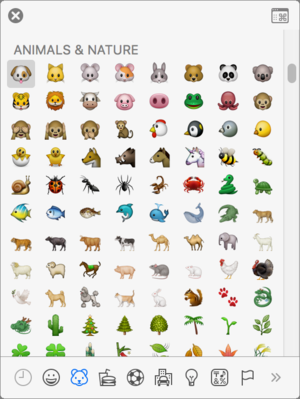 Now, when you select Show Emoji & Symbols the Characters (plural) palette shows up. The old Character Palette had font variants at the bottom. It’s a little reorganized, too, though the current form dates back several versions of OS X. You can click the Settings icon (gear > Customize List) to select additional character sets to show in the list at left, which is handy when you frequently need certain kinds of symbols, like various currencies or technical/keyboard characters. 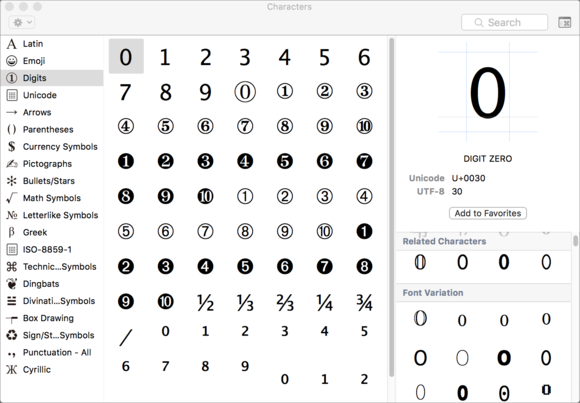 With any character selected, the palette shows a larger version with markings for cap height, descender, and left and right edges, as well as details, including the Unicode value, useful for embedding in Web pages by hand. Below that, it shows Related Characters, if any, and scroll down to see Font Variation. You can customize the Characters palette to reveal frequently used subsets. If you want to insert a character from a given font, click the variation, which then shows a larger preview and the font name. Double-click the variation, and it’s inserted at the current text-insertion point in a document or text field; if the app you’re using supports rich text and fonts, the pasted-in character should be in the typeface shown in the Characters palette. The same commenter reminds us that the Font Book built into OS X lets you select a font and then select View > Reperoire to see a font’s entire character set.